As consumers become more reliant on their mobile devices, retailers are looking for new ways to engage these people. Mobile commerce is quickly becoming one of the most popular ways to engage mobile consumers, largely because of the interest these consumers have for making purchases through their mobile device. A recent report from BI Intelligence, a research group associated with Business Insider, examines the ways retailers are working to engage mobile consumers through commerce and other initiatives. The advent of mobile technology has lead to a shift in the way consumers shop and pay for products. For instance, a practice known as “showrooming” allows consumers to use their smart phones to find products they are interested in while avoiding mark-ups from retailers. Typically, consumers can find better deals throughout online e-commerce platforms than from traditional retail stores, which presents a particularly problem for retailers still working to attract consumers to physical stores. 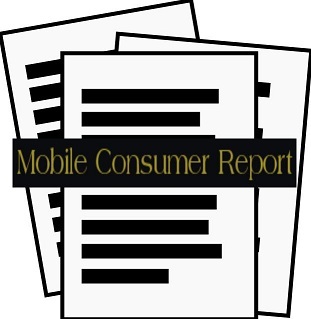 According to the BI Intelligence report, 29% of all U.S. mobile consumers already use their mobile device to participate in mobile commerce. This trend is expected to continue and spread to Europe through 2015, creating a promising opportunity for retailers to engage a wide audience. The report also notes that location targeting and mobile marketing efforts are becoming ideal ways for retailers to engage consumers in a way they are becoming increasingly responsive to. Gamification is a relatively new trend that is emerging in the retail industry, according to the BI Intelligence report. This is the practice of introducing game elements into shopping, marketing, and other fields of retail. Through gamification, retailers can make mundane tasks seem more exciting by providing consumers with rewards for completing these tasks. BI Intelligence suggests that gamification may be an effective way to ensure the loyalty of mobile consumers.